Sanitary fittings are commonly made by stainless steel. Based on the raw material, it has a good strength, especially from the new material development. 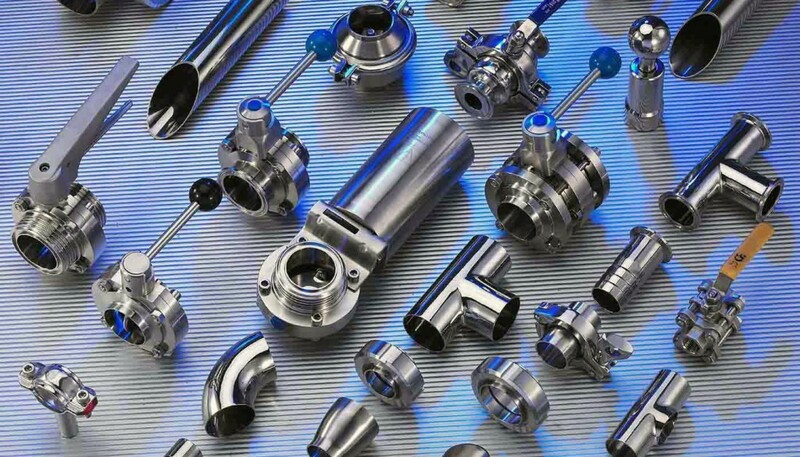 The strength of stainless steel sanitary fittings ensures to get a good durability and plasticity, also makes stainless steel sanitary fittings can be more widely used in the field of fluid and processing applications. Feature of sanitary fittings: hygienic use. Stainless Steel Sanitary fittings have good corrosion resistance,heat resistance,low temperature strength and mechanical features. It’s corrosion resistance in the atmospheric, and if it is in the industrial atmosphere or heavy pollution area, you need to clean in time to avoid the corrosion. Sanitary fittings are suitable for use in food processing, storage and transportation. Has a good processing performance and weld ability. Sanitary fittings and valves should be maintain and use in right way, to extend its service life. -1.When we are using sanitary ball valve , sanitary shut-off valve and sanitary gate valve, for full open or close only, it can’t used for flow adjustment, to avoid the sealing surface get eroded. Sanitary gate valve and shut off valve are with sealing device, rotate the handle to the top position and tight it, can prevent the leakage of media from the packing. -2.Should do regular inspection for long term storage of sanitary fittings and valves, need to clean the surface which is naked and need to be processed. Neatly stored in indoor drafty, dry place, and forbidden to heap or stock in open air. We should keep sanitary fittings dry and ventilated, and make storage according to the right method. -3.When it is in installation, sanitary fittings should connected in the pipeline directly, and install according to the use of position. The article was collected and revised by WELLGREEN PROCESS CONTROL– Your reliable solution of sanitary valves and fittings .